The bad guys are after a hidden fortune that belongs to Flynn O'Mara's dying father--they think Tara can use her psychic powers to find it for them. She'll need plenty of help from her spirit friends if she and Flynn are going to get out of this trouble alive. "Look out!" Tara screamed, as the sports car spun toward them. The car hit them twice--first on the driver's side fender, then as Flynn's car started to spin, again on the back bumper. "Hold on!" Flynn yelled, as their car flipped once, then went airborne, over the guard rail, and into Boomer Lake. Tara came to as the car was sinking nose first into the water and quickly unbuckled her seat belt. If they were going to survive, they would have to get themselves out. "Flynn! Unbuckle your seatbelt. I'm going to roll down the windows so we can swim out." Then she saw Flynn, unconscious and slumped over the steering wheel. Frantically, she unbuckled his belt and tried to pull him toward her, but the steering wheel was too tight against his chest. "I can't breathe," he groaned. "Help me, Tara, help me." Tara began screaming at Flynn, begging him to move as the water rushed up to their chests--then their necks. She was holding Flynn's face out of the water, pushing him as far up as she could until their heads were touching the roof of the car. She couldn't believe this was happening. It was just like her dream. They were going to die. Where was her backup when she needed them? "Millicent! Henry! Uncle Pat! Someone! Anyone! Help! Help!" 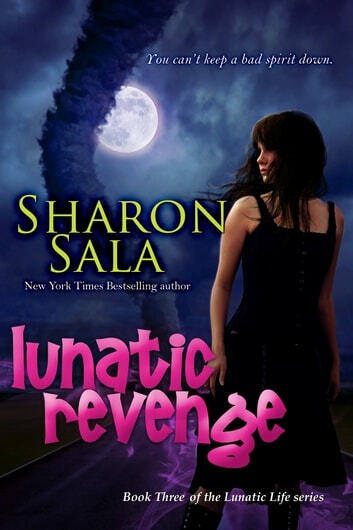 Sharon Sala's stories are often dark, dealing with the realities of this world, and yet she's able to weave hope and love within the words for the readers who clamor for her latest works. Her books repeatedly make the big lists, including The New York Times, USA Today, and Publisher's Weekly, and she's been nominated for a RITA seven times, which is the romance writer's equivalent of having an OSCAR or an EMMY nomination. Her novels published by Bell Bridge Books include The Lunatic Life Series: My Lunatic Life, The Lunatic Detective, and Lunatic Revenge; also a psychological suspense novel, The Boarding House. 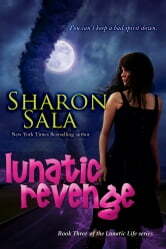 Visit her at http://sharonsalabooks.com and on Facebook.